New York State and City recently signed a deal with Amazon to allow the company to open their second headquarters (HQ2) in Long Island City, Queens. Amazon is owned by Jeff Bezos, the richest man in the world. The company exploits its workers and will inevitably gentrify the surrounding neighborhoods and displace people in the surrounding area. This will have a disproportionate effect on working class, people of color communities, who make up the majority of CUNY's student body. Governor Cuomo used CUNY and SUNY as leverage in his deal with Amazon, stating that Excelsior Scholarship recipients will ensure an "unrivaled talent pool for Amazon." The CUNY Board of Trustees also released a statement stating that CUNY is "thrilled to be a lead partner in Amazon's exciting headquarters expansion...We will commit our considerable college assets to ensure that Amazon has a strong pipeline for talents, ideas, and innovation." The Interim Chancellor of CUNY similarly released a statement saying that "CUNY stands ready to work with Amazon, and our partners in government, to provide skilled graduates ready to compete for Amazon's 40,000 new jobs." CUNY and SUNY students will not be used as pawns in the state and city's plans to bring corrupt corporations into the city. We will not allow CUNY to be complicit in the displacement of our communities, nor will CUNY students be pipelined into corporations such as Amazon. 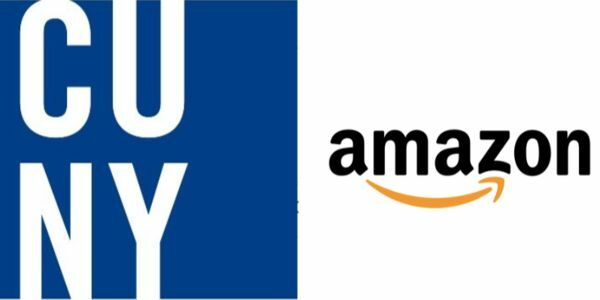 CUNY seems unable to pay adjuncts decent wages, cannot fix its infrastructure, keeps increasing tuition, and more, and yet the University is okay with funding Amazon instead of CUNY. CUNY administration thinks it's okay for the State and City to invest $3 billion in Amazon while students struggle to pay tuition, graduate on time, make it to class on time because of a crumbling public transportation system, struggle with secure housing situations, are targeted and/or in fear of ICE, etc. CUNY administration thinks it's okay that tax-payer money goes towards funding a helipad for the richest person in the world instead of CUNY. CUNY administration thinks it's okay to support and send students into a company that exploits its workers and helps ICE, police, and law enforcement to identify and surveil people and develop facial recognition technology rather than genuinely seeking to protect and support undocumented students. We refuse to stand by and allow the University to do this.